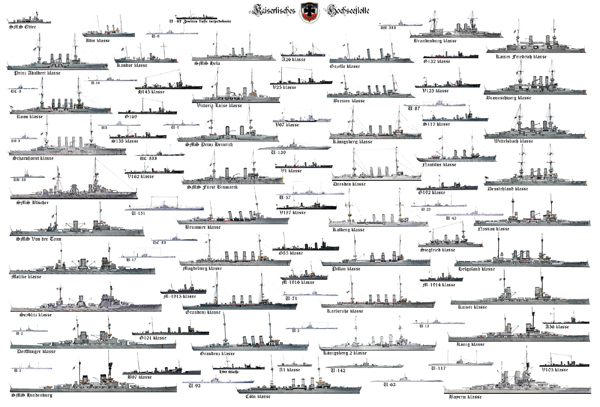 Certainly the oldest battleships German Navy in 1914, two were left (two other sold, see later) in active service. 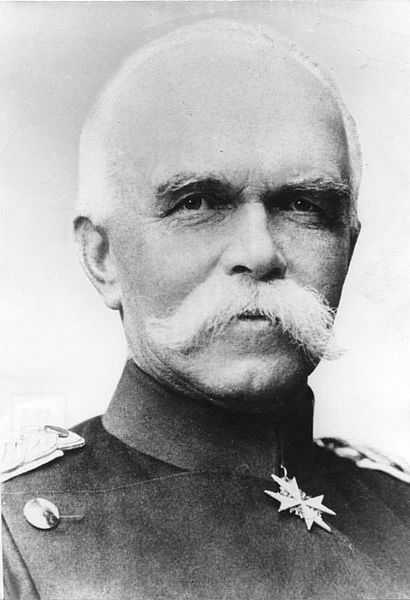 Originally the class was composed of Brandenburg, Kurfürst Friedrich Wilhelm, Weissenburg, and Wörth. 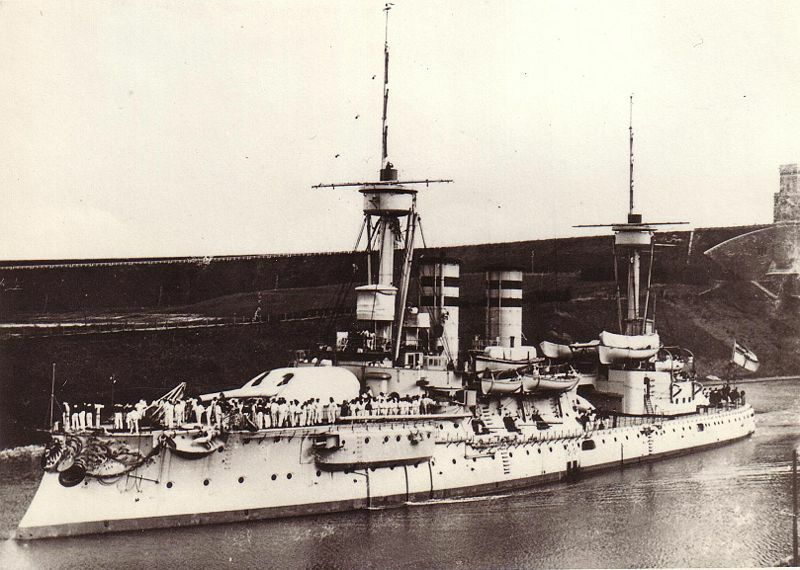 They were approved in 1889, laid down at Vulcan, Germaniawerft, and Wilhelmshaven in 1890, launched in 1891-92 and completed in 1893-94 as first-line pre-dreadnoughts. 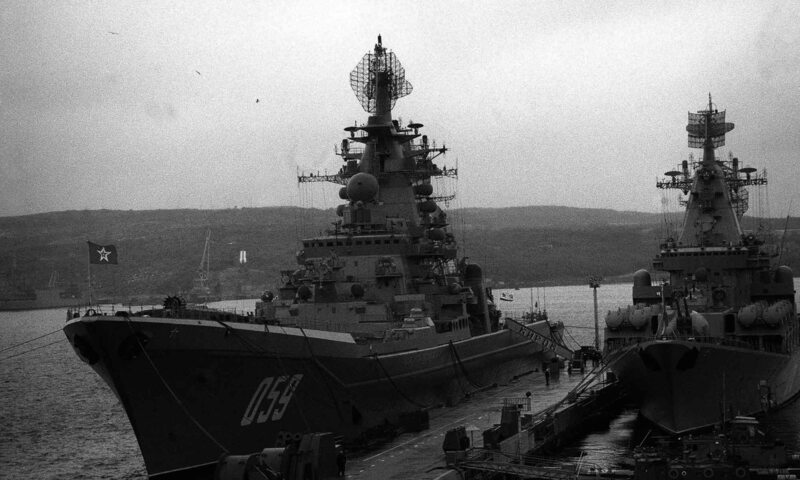 They featured a unusual arrangement of three turrets of the main caliber. 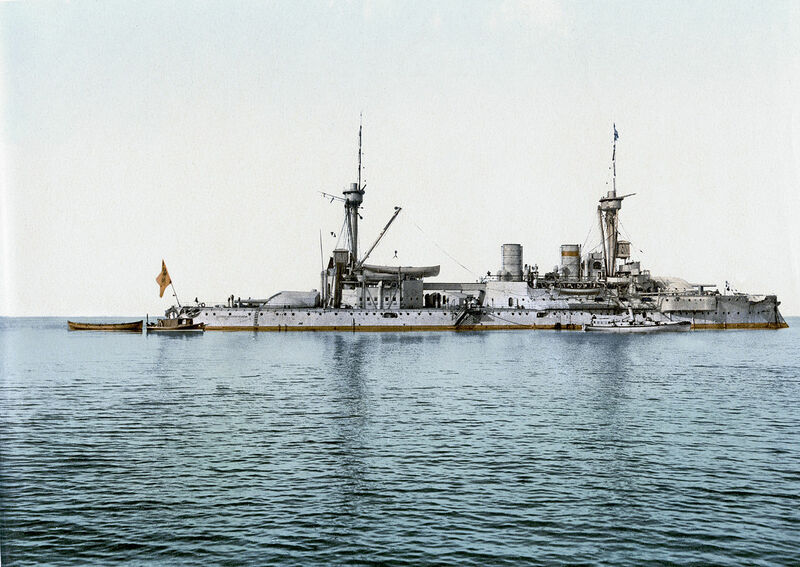 Most importantly they were the first sea going battleships built by the new German Empire. Before that only coastal battleships of the Siegfried and Odin classes were in service. Armour scheme – Brassey’s naval annual. 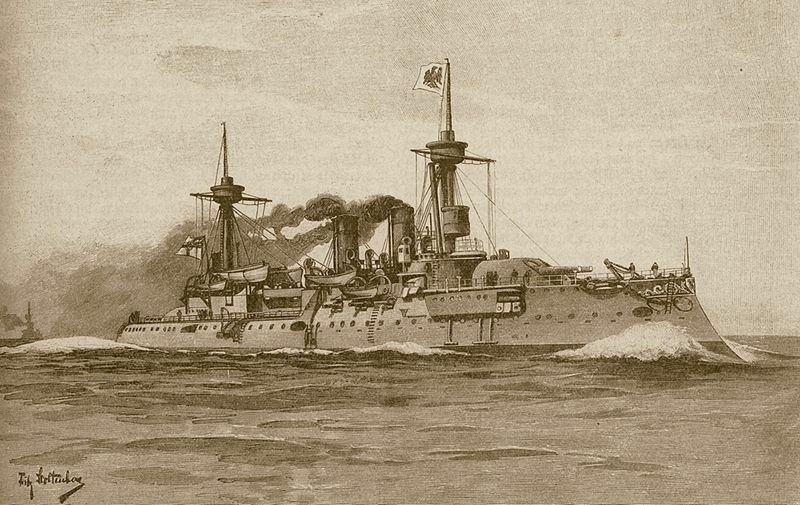 They were an unusual design, with three turrets instead of two, the central turret being given guns of a lower caliber (cal.35 instead of 40) to fit between the two deck houses, centerline. 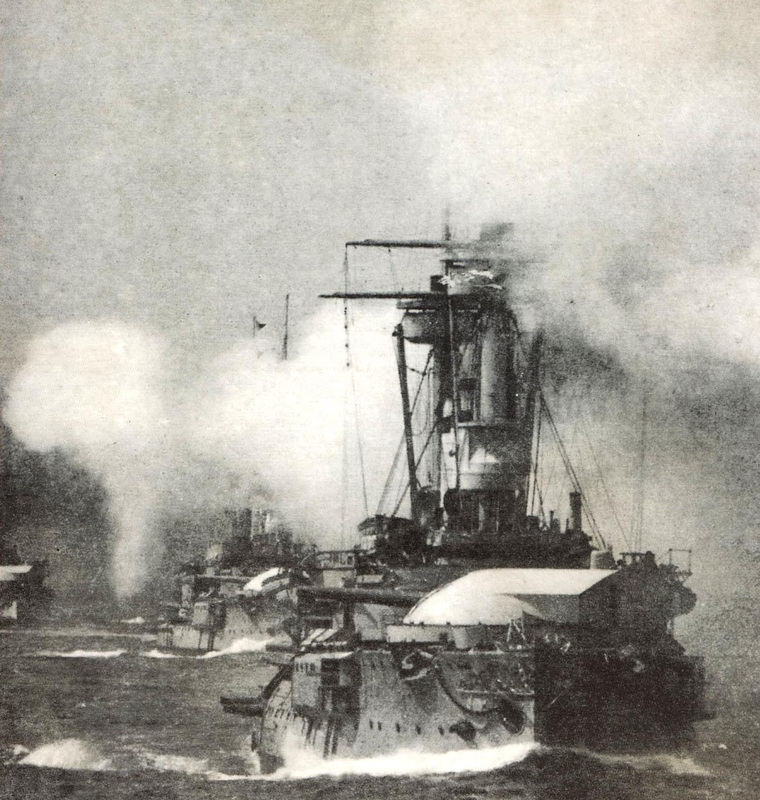 These artillery pieces were only of 280 mm whereas 305 mm was the norm in most battleships of the time, however most pre-dreadnoughts only had four of them (six for the Brandenburg). 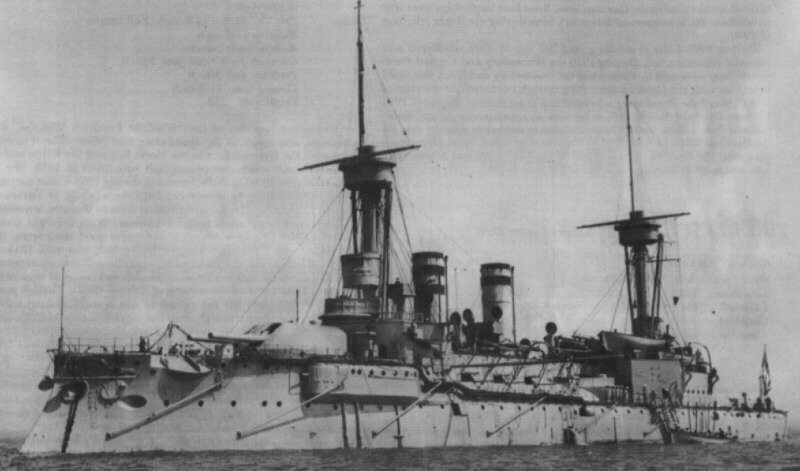 The secondary battery was quickly reinforced by two additional pieces of 105 mm, and 88 guns in barbettes. 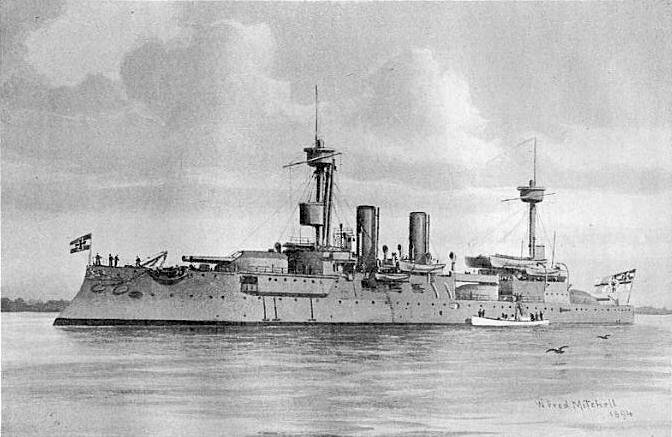 Thick military masts in the French style were adopted, housing 4 Spandau heavy machine guns of questionable usefulness against torpedo boats. 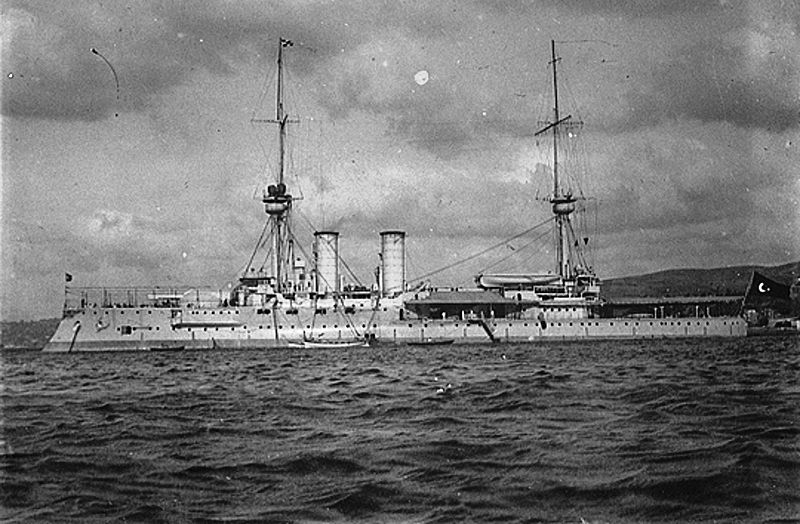 However, they were the first Germans ships fitted with a radio. In general they were considered as excellent seaboats, but by 1914 they were nicknamed by Royal Navy sailors by derision “whalers”. 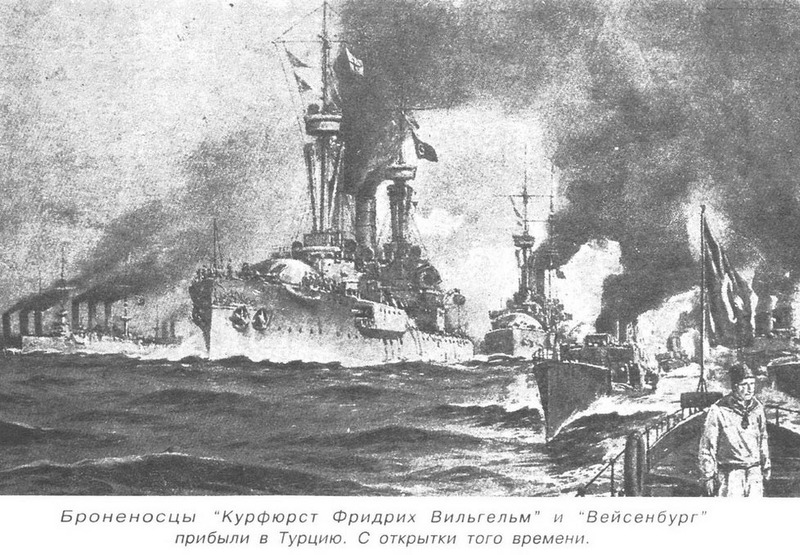 In 1910, Turkey, out of a conflict in the Balkans and preparing for a new confrontation bought 2 battleships of this class, the Wilhelm and Weisenburg, renamed Heirredine Barbarossa and Torgud Reis. 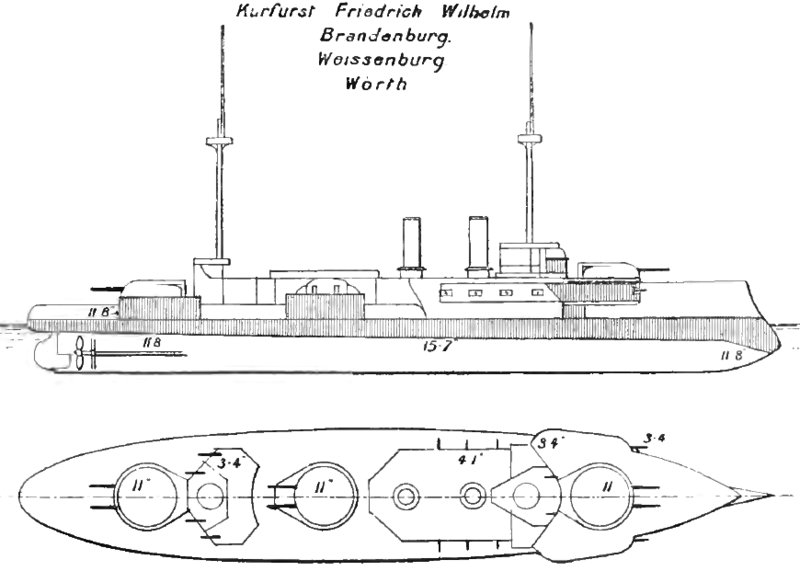 The Brandenburg and Wörth were still serving in the first line in 1914, but the following year, they were switched to coastal defense. 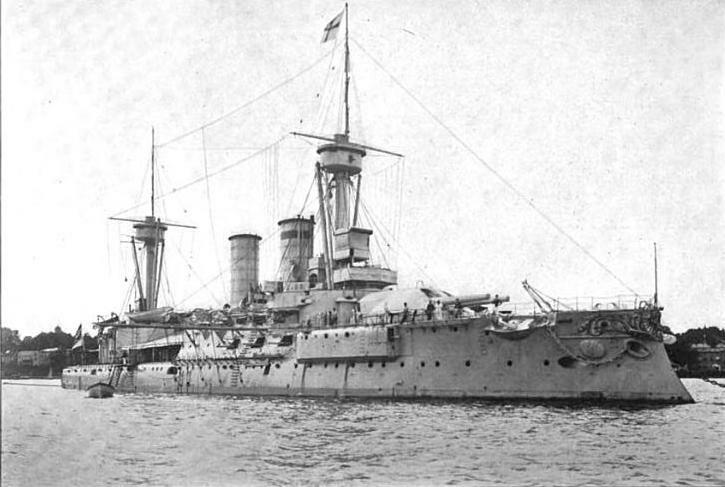 In 1916, they were anchored and used as tankers and commercial docks, and disarmed in 1919.